39th International Conference of Data Protection and Privacy Commissioners (“ICDPPC”) was held on 25-29 September 2017 at Kowloon Shangri-La Hotel, Hong Kong. This Conference was hosted by the Government of the Hong Kong Special Administrative Region, as one of the events celebrating the 20th anniversary of the establishment of the Hong Kong Special Administrative Region of the People’s Republic of China. The ICDPPC was first convened in 1979 and has been the annual premier global frum for data protection authorities for over three decades. The Conference seeks to provide leadership at international level in data protection and privacy and links more than a hundred privacy and data protection authorities from across the globe. The 39th ICDPPC comprised a comprehensive 4-day programme consisting of a closed session for the accredited members of ICDPPC and an open session attended by all in the data protection community including data controllers, privacy related enterprises, business entities, professionals and academia. More than 750 delegates from over 60 countries or regions attended the event where renowned practitioners and entrepreneurs from around the world joined as speakers and panelists to share their wisdom. 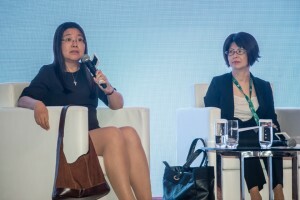 The 39th ICDPPC was hailed as the prime arena and excellent platform for all international and local stakeholders to pick one and another’s expertise and map out the future privacy landscape. 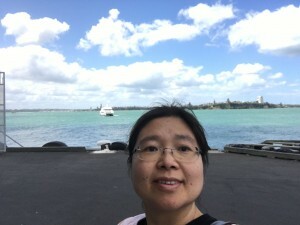 Prof. Xue was invited to give the keynote speeches both at the Open Forum “Notice and Consent-From India to Japan” and the workshop “Privacy and Encryption in Digital Age”. Prof. Xue summarized the latest legal and practical developments in Asia Pacific Region and made indepth analysis on the relevant topics. The thank-you-letter from Mr Stephen Wong, Privacy Commissioner for Personal Data, HKSAR is attached.